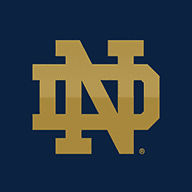 The Military and Veteran Initiative advances Notre Dame’s longstanding engagement with those who are serving or have served in defense of our nation. It is a comprehensive and focused review to identify, examine, and elevate current initiatives, and to identify enhanced opportunities to cultivate and lead innovative academic, research, government, and community collaborations that will positively impact the men and women of the United States military, both personally and professionally. Long recognized as a leader in training students preparing for military careers and as a partner to the United States military, the University of Notre Dame has strengthened its commitment to those who have served our country by establishing its new Office of Military and Veterans Affairs (OMVA). Recruiters from various companies share some insight as to why they recruit at Notre Dame and what type of candidates they are looking for. At a young age, it was ingrained into Brady Quinn ’07 that it was important to respect and support the military. His father was a marine in Vietnam. His grandfathers had both served. The lineage ensured he and his sisters never took for granted the sacrifices soldiers made for the good of the country. At Notre Dame, we're looking to our past to inform our future. We've been entrusted with Notre Dame to pass it on to the next generation. This demands that we innovate, adapt and enhance the University to make it alive in the present in a way that will influence the world for another 175 years.